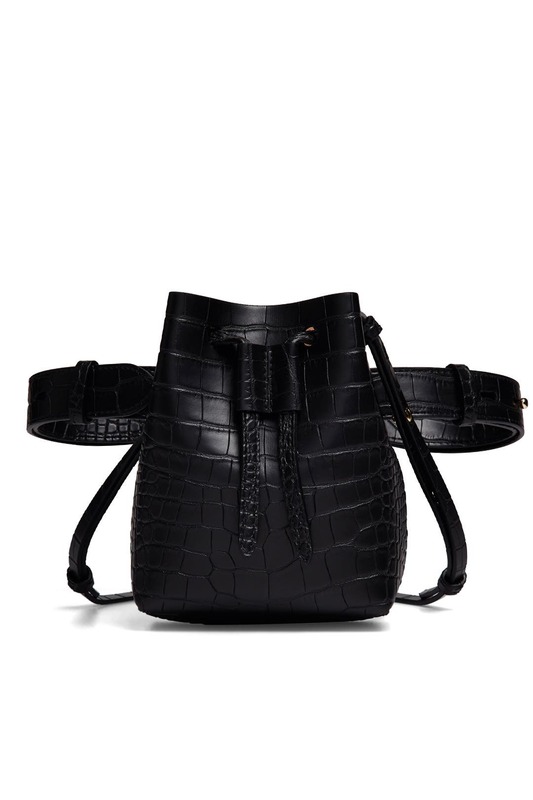 This convertible mini bucket bag by Nanushka Accessories makes a stylish statement in vegan leather with a chic black croc effect. Black croc embossed faux leather mini bucket bag. Belt or crossbody strap options. 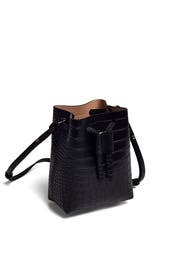 Drawstring closure and gold tone hardware. 5.25"L x 6.75"H x 3.25"D.